""Madeline helped us buy and sell a house. She is very knowledgeable and worked very hard to find us a house. She also did great negotiating the selling of our house and kept us informed throughout the process. She is very professional and timely. I would highly recommend her to anyone."" "To say Madeline exceeded our expectations would be an understatement!!! Madeline was an absolute pleasure to work with. From the very beginning when we were on the hunt for that perfect house to the closings on both the sale of our previous house and the purchase of the new, Madeline was friendly, informative and always available to answer any questions or talk through any concerns. Madeline's knowledge of the Edison Park/Park Ridge area is second to none. Once we did find the place we wanted to make our new home, Madeline worked with us to quickly establish contracts for both the sale and purchase. Working with Madeline truly made a potentially stressful experience seem easy. Her knowledge, experience and wonderful demeanor set her apart. We would highly recommend Madeline for any of your real estate needs. ""Madeline went above and beyond to make our house purchase and condo sale experience as smooth and easy as can be! She was very tentative to detail, flexible, and made the entire process very easy. Madeline had excellent communication and went out of her way to make sure we were comfortable at all times. We would highly recommend Madeline to any potential buyer/seller!"" ""Madeline was always available to answer questions, show us homes, and be available for showings on the home we were selling. Her knowledge about the market is extremely impressive. She is an expert in her field and is beyond professional. If you want the best of the best choose Madeline as your Realtor. You will not be disappointed." "Buying a house for the first time can be both exciting and nerve wracking at the same time. Contacting Madeline was the best thing we could have done to relieve our nerves. She went above and beyond to take the time to get to know exactly what we were looking for. She is not one of those realtors that only opens the door to see a property. She made sure to search for the house that met our requirements and made the whole experience less daunting than what it was when we started without her. 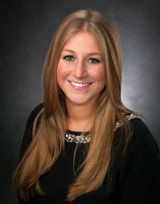 Madeline was extremely professional, knowledgeable, and hard working in helping us find our first house. We would recommend Madeline every time we know someone looking to find the RIGHT house." "Excellent COMMUNICATION, the most important characteristic when selecting an agent. Timely responses, easy to reach, and available at all hours of the day. Will definitely be referring Madeline to friends and family looking to buy/sell/rent. Wouldn't consider using any one else in the future." "As a first time home buyer, Madeline did an excellent job navigating me through the process and kept my best interests in mind throughout the entire experience. She listens carefully to her clients in order to select meaningful potential properties to present and find a home that is the perfect fit. She continually went above and beyond for me throughout the search, from initial showings, through contract negotiations, to closing day . Madeline's attention to detail, professionalism, and knowledge of the market helped me feel at ease and enabled me to learn more about the home buying process. Thanks to Madeline, I was able to find my dream condo in Chicago and negotiate an amazing price. I was very happy with her services from start to finish, and look forward to using Madeline's expertise for my next home purchase!" "Madeline came highly recommended to us as we started our search for a new home. She was a consummate professional and helped us find exactly what we wanted. Madeline went the extra mile to chase down a unique property under contingency that fit all of our needs. While the property was technically "off the market," she helped us get connected with the sellers agent. Once that contingency contract expired, we were able to move quickly to secure the deal. As first time home buyers, we found Madeline generous with her time and referrals for all kinds of local needs. She was a fierce advocate for our interests throughout the process." I just want to thank you for selling my Dad's condo for us. It was such a pleasure working with you! You were professional, kind, and knowledgeable. Thank you for making everything run smoothly. You were so agreeable to our needs and never aggravated us. Believe me, I've worked with some aggravating agents before! Keep up the great work! You will go far in your profession! I will keep you in mind for our future real estate needs. "My wife and I do not have a ton of experience with realtors. We bought our first house almost five years ago. The realtor we used then was friendly but ultimately not very helpful. Then, when we sold that house earlier this year, we used another realtor who was really only concerned with selling our home as fast as possible in order to make a quick commission. She was pushy to say the least. We debated extensively on the listing price, and our house ultimately sold for $5,000 more than what she wanted to list it at. When it came to buying a new house, we realized it was time to try yet another realtor -- and the third time was the charm! After speaking with my sister-in-law, we found out about Madeline Heller. She helped her and her husband find a beautiful home in Park Ridge and negotiated a great price. Our experience turned out to be just as wonderful! We could not ask for a more responsive and caring realtor. Madeline was flexible with our schedules (my wife and I both work, and we have two young children). She is extremely knowledgeable about the housing market in Chicago all the way from Glenview to Elmhurst and even the northwest side of the city. She was fantastic with negotiating price as well. I know for a fact that Madeline was always extremely busy, but it never felt that way to us. She is attentitive and always willing to go the extra mile. I would never in a million years ever consider using another realtor ever again. Simply put -- Madeline is the BEST!" "Madeline did an exceptional job helping me find exactly the home I was looking for. She is meticulous with her work and incredibly in tune with my requests. Look no further for your next real estate broker!" "Madeline was referred to us by my older brother. She sold a property for his father in law in a very short time period. Professionalism at its best. We had delays due to the buyer and her lawyer. Our side was well prepared and professional at all times. Madeline was a true blessing. My mother was getting unsettled by all the delays by the buyer. Madeline would respond back immediately to us and find us answers. She was very understanding of my mothers concerns about her house that we were selling. Since I work next to Park Ridge, alot of coworkers have been informed of Madeline by myself. I hope future leads pan out. "Madeline's knowledge of the market and the home buying process made our experience in buying our first home go as smoothly as I could imagine. She made herself available around our schedules and had a great network of mortgage and inspection professionals that helped us along the way. I never hesitate to recommend Madeline to my friends and family." "Our journey in searching for a new home was not easy as the competition in the market drove multiple bids during our search. We were lucky to have Madeline Heller on our side during this process. We put her to the test on looking at a lot of homes in multiple markets. Though we had some initial concerns around her overall experience, after just one round of showings with Madeline, she successfully put our concerns to rest by demonstrating tenacity, knowledge, enthusiasm, responsiveness, and an overall understanding of the market where we ended up finding our home. She knew more about the market than those that had been in the business 30+ years. Madeline made us feel like her only clients as she always responded immediately to our requests and was able to meet with us to look at houses at the times that best fit our schedule. We ended up walking away from a house where inspection did not go as planned. It would have been a large commission for her, but she backed our decision and did not pressure us to move forward. We are so happy that it did not work out and we ended up finding the perfect house for us. We would have not been able to do that without Madeline. We were not first time home buyers and wanted to find the best in the business. I would highly recommend Madeline Heller as we met with other agents before making a decision and she stood out as the one that best fit our style and would work really hard on our behalf. You can’t go wrong!" "We want to thank you for the exceptional job you did on selling our father's house. It wasn't an easy sell, but you persisted and were successful. We especially appreciated your outstanding communication skills. You kept us informed appropriately and answered our questions promptly. You went beyond what we expected by checking on the house when it was difficult for us to check. I could go on! But I'll just finish by saying that you have our whole-hearted recommendation and many thanks." I wanted to thank you for all the work you put into the sale of our family property. Your work ethic from the beginning to the end of the sale and closing, was a wonderful experience for my wife and my family. I cannot say enough to you for the work you put in our sale." "Madeline is an extremely responsive realtor who accommodated my schedule at all times. She was also a great resource and very knowledgeable about all things real estate. The whole process was painless and I love my new place! ""Madeline has a lot of experience in the industry and a lot of connections locally. She was honest about pricing and what she thought she could negotiate and when it came to the time she was wonderful. She found us something that had not even hit the market yet and went above and beyond to make us happy! Would recommend her to anyone looking in the suburbs!"